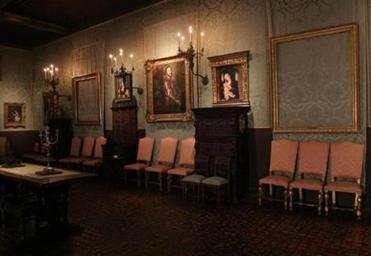 Despite an exhaustive internal search, the FBI has been unable to find the missing evidence in the Isabella Stewart Gardner Museum art heist. The trail had been cold for years when the FBI announced in 2010 that it had sent crime scene evidence from the Isabella Stewart Gardner Museum to its lab for retesting, hoping advances in DNA analysis would identify the thieves who stole $500 million worth of masterpieces. The FBI, which collected the crime scene evidence, lost the duct tape and handcuffs, according to three people familiar with the investigation. Despite an exhaustive internal search, the FBI has been unable to find the evidence, according to those people, who asked not to be identified because they are not authorized to speak publicly about the case. It’s unclear when the items vanished — although two people said they have been missing for more than a decade — and whether they were thrown away or simply misfiled, the people said. The lost evidence marks another setback in an ongoing investigation that has been plagued by the deaths of suspects, defiant mobsters, fruitless searches, and a litany of dashed hopes. None of the 13 stolen treasures, which include masterpieces by Vermeer and Rembrandt, has been recovered, and no one has been charged. 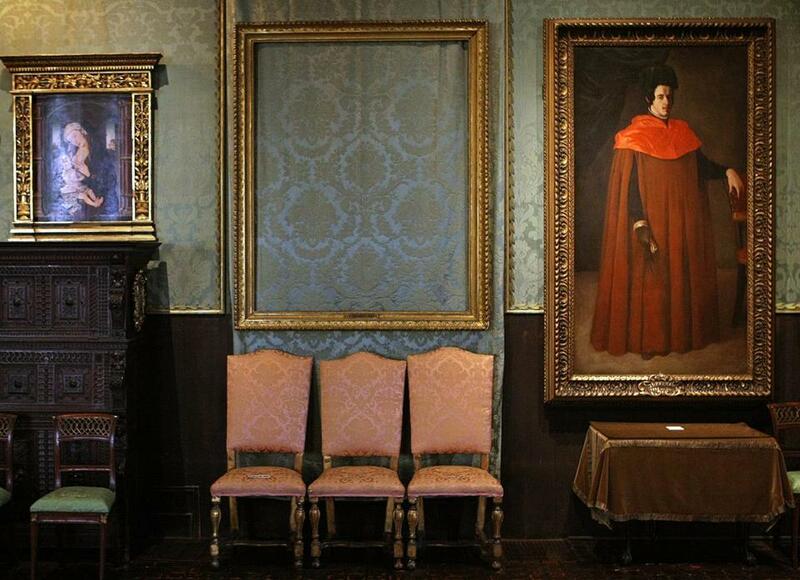 In an aggressive bid to recover priceless treasures, the Isabella Stewart Gardner Museum doubled its reward to $10 million and set a hard deadline. The FBI declined to comment on the missing evidence, citing the ongoing investigation, but defended its handling of the case. Harold H. Shaw, the special agent in charge of the FBI’s Boston office, said the bureau has devoted significant resources to the investigation, chased leads around the world, and remains committed to recovering the artwork. The FBI completed DNA analysis of some museum evidence in 2010, according to Kristen Setera, an FBI spokeswoman. She declined to say what items were tested or what, if anything, the tests showed. The heist remains one of Boston’s greatest mysteries. Promising leads have led nowhere, leaving investigators at a crossroads. Most notably, a seven-year effort to pressure a Connecticut mobster for information has come up empty. Robert Gentile, 80, faces sentencing in August on gun charges but could walk free if he cooperated with federal authorities, his lawyer said. Despite the enticement, and a hefty reward, Gentile denies knowing anything about the stolen artwork. 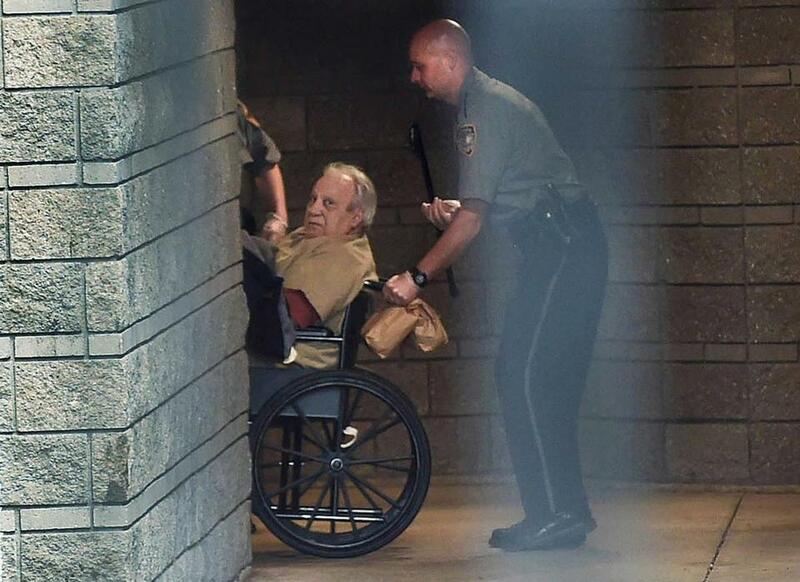 Robert Gentile, en route to a 2015 court appearance. Finding the treasures may require a new approach, according to several former law enforcement officials who worked on the case. They suggested that officials should restart the investigation from scratch and review the evidence in a contemporary light. Carmen Ortiz, who recently stepped down as US attorney for Massachusetts, said authorities should shift their strategy, perhaps to include appeals on social media, and expand the investigative team. “Get around the table with some fresh eyes, in addition to those who know this case very well, to give it a new look,” Ortiz said. Ortiz’s successor, Acting US Attorney William Weinreb, said the investigation remains a top priority. A former assistant US attorney, Robert Fisher, who oversaw the Gardner investigation from 2010 to 2016, said investigators should “go back to square one” and study the crime as if it just happened, analyzing each piece of evidence with the latest DNA, fingerprint, and video technology. “What if it happened last night, what would we do this morning to try to crack this case?” said Fisher, an attorney at Nixon Peabody. Told that the Globe had learned the duct tape and handcuffs left behind by the thieves were now missing, Fisher said he hoped they would be found. However, he said the tape may yield no viable DNA, depending on its condition. Anthony Amore, the museum’s security director, said investigators are pursuing a number of new leads following last month’s announcement that the reward for information leading to the recovery of the artwork had doubled to $10 million until year’s end. Dozens of tips were received, he said. The brazen heist — the largest property crime in US history — occurred in the early morning hours of March 18, 1990. Two thieves disguised as police officers claimed to be investigating a disturbance when they showed up at the museum’s side door on Palace Road in Boston’s Fenway neighborhood. They were buzzed inside by Richard Abath, a 23-year-old security guard who, by his own admission, has never been eliminated as a suspect. The thieves wrapped duct tape around the hands, eyes, and mouths of the two guards on duty, then left them handcuffed in the museum’s basement as they spent 81 minutes slashing and pulling masterpieces from their frames. 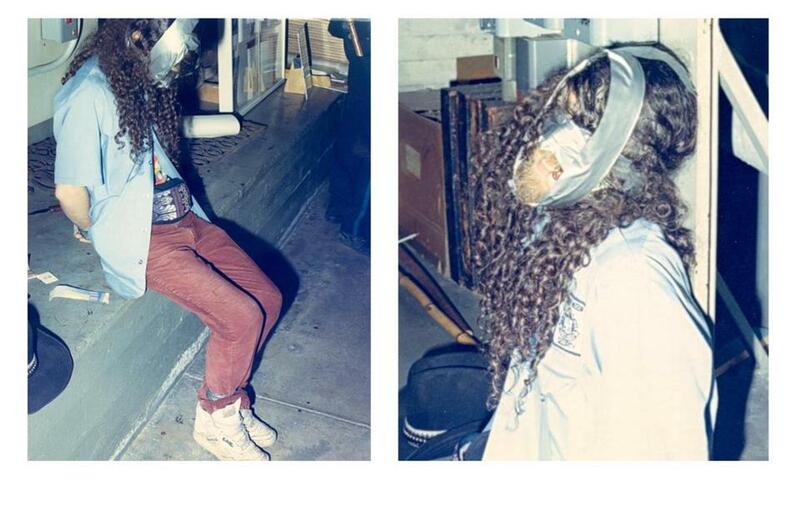 Boston police found Richard Abath handcuffed and duct-taped in the basement of the Gardner Museum after it was robbed in 1990. In the days after the robbery, FBI and Boston police crime scene analysts scoured the museum for clues. They lifted partial fingerprints from the empty frames but found no matches in the FBI database. At the time, DNA evidence was in its infancy. But scientific advances have since opened new doors for investigators, cracking unsolved cases across the country. DNA experts said it’s possible the thieves’ DNA could be pulled from the tape, although the chances are slim. Success hinges on a number of variables, such as how the evidence was preserved and how many people handled it while freeing the guards and storing it. “Certainly people have retrieved DNA from samples that old, but how much you can get is the big question,” said Robin Cotton, director of the Biomedical Forensic Sciences Program at the Boston University School of Medicine. Analysts would also need DNA samples from the police officers who removed the tape to distinguish their DNA from the thieves, Cotton said. Tom Evans, scientific director of the DNA Enzymes Division at New England Biolabs, an Ipswich firm that conducts DNA testing, said technology has come so far that it may take only a single cell to identify someone through DNA analysis. But DNA breaks down over time, especially in hot or humid conditions. “Twenty-seven years later, it might work and it might fail,” Evans said. The statute of limitations on the theft expired years ago, but authorities could still bring criminal charges for hiding or transporting the stolen artwork. The US attorney’s office has offered immunity in exchange for the return of the paintings. Four years ago, the FBI announced it was confident it had identified the thieves — local criminals who have since died — and had determined that the stolen artwork traveled through organized crime circles from Boston to Connecticut to Philadelphia, where the trail went cold around 2003. In 2010, the FBI began focusing on Gentile after the widow of another person of interest in the theft, Robert Guarente, told agents that her late husband had given two of the stolen paintings to Gentile before he died in 2004. Federal authorities allege that Gentile offered to sell some of the stolen paintings to an undercover FBI agent in 2015 for $500,000 apiece. They remain convinced that he is holding back what he knows. Another person who has come under renewed scrutiny is Abath, the guard who opened the door for the thieves. A Berklee College of Music dropout who played in a rock ’n’ roll band while working at the museum, he has steadfastly maintained that he played no role in the heist. Authorities have said motion sensors that recorded the thieves’ steps as they moved through the museum indicate they never entered the first-floor gallery where Manet’s “Chez Tortoni” was stolen. Only Abath’s steps, as he made his rounds before the thieves arrived, were picked up there, they have said. Steve Keller, a security consultant hired by the museum, said he tested the motion sensors after the theft and determined they were reliable. He said he entered and left the room several times where the Manet had been stolen, even crawling on his hands and knees in an effort to avoid detection. Each time the sensors detected his presence. Former US attorney Brian T. Kelly, who previously oversaw efforts to recover the Gardner artwork, said he remains hopeful the masterpieces will be recovered. “All it takes is a new lead that leads in a new direction and a lucky break or two,” Kelly said. Shelley Murphy can be reached at shelley.murphy@globe.com. Follow her on Twiter @shelleymurph. Stephen Kurkjian can be reached at stephenkurkjian@gmail.com.